A preview of the forthcoming Ashes campaign, which gets underway in Brisbane on Nov 21st. 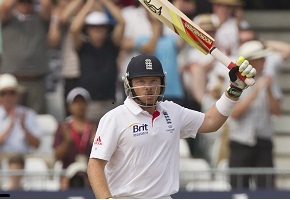 England’s Ian Bell expects a tough reception, whilst home captain Michael Clarke is confident the hosts can end a miserable 2013 in style. This week on Four Four Stu, Stuart Iversen looks to explore exactly how Derek McInnes has turned fortunes round at Aberdeen Football Club since the start of the new season. Looking at everything from his role in the transfer window to the tactics on the pitch. 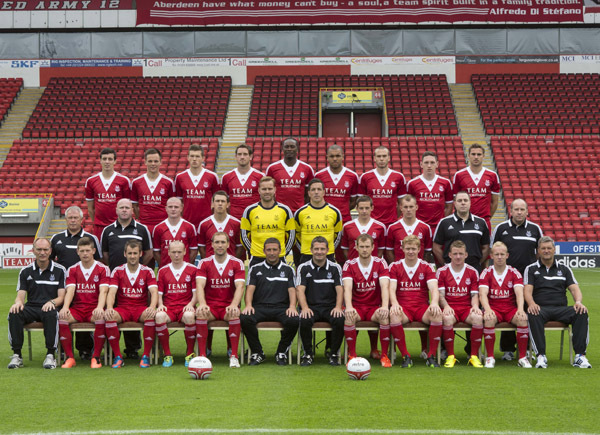 It’s an in-depth view into just what has got Aberdeen fans so excited this season. Scotland comes so wonderfully close so often, in so many ways… but we always trip our own feet, or just fail to take hold of opportunities. These are the top 4 times Scotland promised so much, and failed to deliver…. 4. 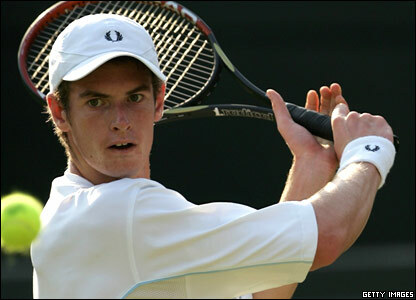 Andy Murray – For years Scotland had only entertained tennis as a pass time, Wimbledon was sort of close and those with the money might like to enjoy some champagne and strawberries down there. But other than that Scotland was disinterested. Even so far as to be the subject of a Monty Python flying circus sketch, where an alien invasion could only be thwarted with a Scotsman winning Wimbledon. Suddenly we had our own rising tennis star, a man who might bring the Wimbledon title back to Britain for the first time since Fred Perry. However year after year Murray succumbs to the Scottish mentality and all the ability in the world (which we’re told he has in abundance when he plays well) goes out the window and he bombs out. 3. Scotland v Argentina, 2011 Rugby World Cup – This one was a simple case of fulfilling our roll as the great bottle merchants. A win would have meant progress to the next round, a close game to the finish. Amorosino fumbles and knocks it into touch, Parks takes a kick that high school rugby players across the nation would swear they could make… and shanks it left. Scotland fail to progress past the group stages for the first time in any world cup. 2. Colin Montgomerie, 1995, PGA Championship, Riviera Country Club – Monty would birdie his last three holes to tie Steve Elkington and take it to a sudden death play off, but while in a far better position on the green Monty would miss his putt while Elkington sinks a 35 foot putt. 1. Football World Cup 1978 (and to an extent ’74) – Scotland has the best of the worst track records in regards to football World Cups, but in ’78 it was something special. Ally MacLeod had the nation believing they would come back with a medal. “We’re on the road with Ally’s army” was being sung across the nation. But in our opening two games we were sat with one point, and had to beat the Netherlands by three goals to proceed. That day Scotland would score three goals, one of which by Archie Gemmill would be considered one of the best goals of the tournament. However on that same day the Dutch would score two, dashing Scotland’s dreams of progression and putting us out on goal difference for the second world cup in a row. Liverpool’s managing director, Colin Ayre, believes that it is important for English sides to be allowed to secure independent TV deals abroad so that they are not left behind by the top European clubs. “The other European clubs just don’t follow that model. They will create much greater revenue to go and buy the best players”, he claims. However several other clubs, including Manchester united and Chelsea, have distanced themselves from Liverpool’s proposal to break from the Premier League’s current model of collecting Television deals. It is understood that Arsenal, Manchester City and Tottenham Hotspur will continue to back the current model that last season awarded each club £17.9m. Overseas revenues could outstrip the domestic deal, currently worth £2.1bn over three years, for the first time when the Premier League launches its tender process next year. But several other clubs, including Manchester United and Chelsea, have distanced themselves from Liverpool’s proposal to break from the Premier League’s current model of collecting Television deals. 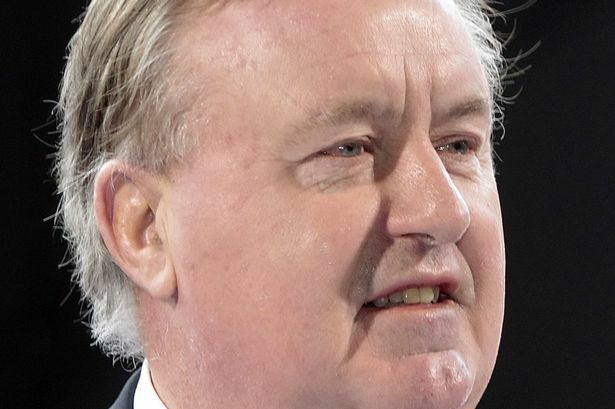 It is thought that Liverpool had expected other clubs to back their stance, which Ayre argues would bring about a fairer distribution of funds than is currently the case. “Is it right that the international rights are shared equally between all the clubs? he asks. Isn’t it really about who people want to watch on that channel? We know it is us and others. Andy Murray looked stunned yesterday, as he unveiled a terracotta warrior statue of himself, erected to commemorate his Masters series win in Shanghai last year. The event was rather ironic, given the ongoing complaints of players that the yearly schedule puts unfair demands on the players. Big names such as Novak Djokovic, Roger Federer and Rafael Nadal have recently lamented the gruelling effects of the tour, which has no official off-season. And Murray himself recently made controversial claims that the situation could eventually lead to a players’ strike. But speaking yesterday, he backtracked on his initial claim :”When I said it was a possibility, I didn’t expect that to be such a massive issue. It’s so far away from being at that level. Murray is currently third in the world, and has won back-to back titles in the past two weeks. Scotland were chasing Shadows from the first whistle in Alicante last night, as their hopes of qualifying for a major tournament were dashed for the seventh straight time in the qualifiers. Despite what some would say was an encouraging performance against the reigning World and European champions, there was an heir of familiarity about Scotland’s agonising exit from what was a favourable group. Scotland’s hopes of qualifying with an audacious away win in Stadio Jose Rico Perez were dashed after just six minutes of the first half when man City’s David Silva netted after a brilliant all-round move by the home side. Scotland’s hopes of being able to depend on results elsewhere to work in their favour also lay in tatters early on, as The Czech Republic went ahead, also after 6 minutes, in Lithuania, eventually winning 4-1 to qualify for the play-offs. Despite early hopes, Spain’s star-studded attack eventually overwhelmed the visitors 3-1, with a second half spot-kick by David goodwillie providing little consolation for the Tartan Army. Speaking afterwards, Scotland boss Craig Levein had only praise to bestow on his players, who created a surprising number of chances against the accomplished Spain defence. “I was pleased by a number of things from my team, particularly how they attempted to play football and create opportunities which we did, particularly in the second half. “We have to accept this is as hard as it gets. This is us, away from home, against the World and European champions. It doesn’t get any harder”. Despite the loss, Levein is now looking ahead optimistically to the qualifying campaign for the Brazil 2014 World Cup. “I have confidence in these players and I’m trying to increase the size of the pool. I’m very much looking forward to the World Cup campaign. Scotland manager Craig Levein faces an anxious wait over the fitness of striker Kenny Miller ahead of tonight’s crucial Group I qualifier against Spain. The Scots go into the match needing to match result of the Czech Republic who play away to Lithuania, but might have to face the World and European champions without their main talisman. Miller missed out Saturday’s 1-0 victory away to Lichtenstein and Levein has indicated that he is unlikely to feature this evening. “Of the doubtful ones, Kenny would be the worst. He doesn’t feel he has improved much since Friday” said Levien at a press conference yesterday. Also doubtful for the crunch match tonight are trio: Darren Fletcher, Craig Mackail-Smith and Barry Bannan, all of whom featured at the weekend. Levien was far more convinced over their fitness however. “Mackail-Smith and Fletcher will both get a fitness test. Fletcher sounds more confident than he did yesterday, so that is encouraging. With Miller rated very unlikely to feature, Scotland will pin their hopes on Saturday’s goal hero Craig Mackail-Smith, who will start for only the second time in a blue jersey should he get the nod this evening. Others in contention for a starting position should Fletcher and Bannan fail to meet fitness levels are Cardiff City’s Don Cowie, Middlesbrough veteran Barry Robson and Ranger’s Steven Whittaker. Levein knows a win would guarantee them a play-off spot for the Euro 2012, but Scotland are massive underdogs, rated a 14/1 shot with most bookmaker to win this evening. Roller derby is a sport that not everyone will be acquainted with due to its underground nature but Hollywood film ‘Whip It’ brought it into the forefront and it has been on the rise in the UK for a number of years. It’s an all-girls sport on roller skates, where teams race around a track to pass each other scoring points as they do and not to mention the occasional knock-out action. Edinburgh’s local team the Auld Reekie Roller Girls (ARRG) have done their bit in building the sport’s reputation, helping out local charities with bake sales at the bouts (matches) and now pull in a crowd of over 700 people when they play at Meadowbank. It comes as no news that Scotland has a drinking problem. Recent legislation passed by the Scottish Government has largely focused on curbing the nation’s drinking. Coming into affect on the first of October, tighter laws regarding the marketing and pricing of alcohol will aim to curtail a nation for whom alcoholism is as ingrained as the rolling of an R.
But has the national obsession with booze been cultivated over the past century, in part, by the drinking antics of a nation’s sporting heroes? As a country devoted to sport, be it football, rugby, boxing or shinty, Scotland is never slow to propel those who do well to iconic status. 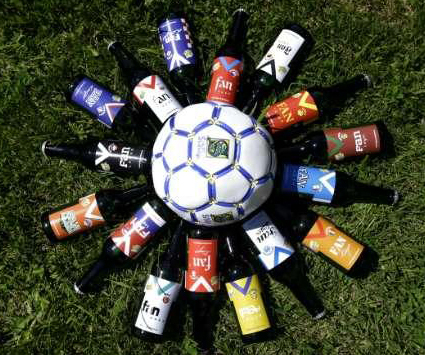 So, when these icons, watched admiringly for their sporting finesse, are then seen to be hitting the bottle the stigma of drink is eased, and such behaviour becomes anecdotal and imitable. Given it’s status as the nation’s sport, it is not surprising that Scotland’s football stars come under the most scrutiny. Rangers and Scotland stalwarts Alan McGregor and Barry Ferguson were the most recent to be held to account. In 2009 the pair not only ran up a four figure bar tab, leading to them being benched in the following international game, they then exacerbated their situation by a touchline indiscretion which would lead to their life time international ban and would land them in hot water at their club. But as then Rangers manager, Walter Smith, said, they were not the first group of Scottish players to get drunk. In what is now recalled as a whimsical anecdote, Celtic legend Jimmy ‘Jinky’ Johnstone got himself into bother a matter of days before a match against England where the high spirited player set himself adrift in a leaking boat out into the Irish sea without any oars whilst singing ‘Scotland the Brave’. A patriotic story, perhaps, but not exactly a good moral lesson for the fans. What perhaps makes the story worse is that he only received a slap on the wrist and was still permitted to play. The lesson learnt there? But these players were minnows compared to other heavy drinkers of Scottish football. 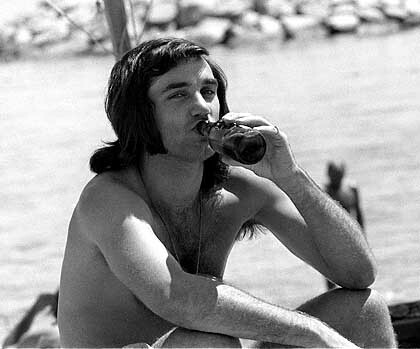 While playing for Hibernian, George Best was sacked after he went on a drinking session with the French rugby team, who were in Edinburgh to play Scotland. He was brought back a week later. By this point Best had already risen and fallen in dramatic fashion and had returned to British football from America when Hibs were fighting relegation. Whilst Hibs were still relegated Best’s arrival at the club saw ticket sales quadruple, such was the man’s standing. Alcohol would play as much a part of his public life as his skill on the pitch, and would sadly claim his life. A similarly gifted yet troubled player, Paul Gascoigne, would etch out such a name for himself at Rangers that he is now in their hall of fame. But again his skill on the pitch is marred by the on going farcical nature of his alcoholism, having been admitted to rehabilitation a dozen times now the player’s troubles are well documented. And even in the less physically trying sports Scotland’s competitors adhere to our national stereotype. In darts, former world champion John ‘Jocky’ Wilson’s heavy drinking would lead to onset diabetes and his candour – for which his fans loved him – has left him a recluse in a tenement flat. Again and again Scottish athlete’s compete among the world’s best but all too often their glory is cut short by being far to familiar with their local. Whatever the reason they themselves are the roll models for a nation that perceives heavy drinking as a common occurrence, and they do little to deter imitation. The Sport Scotland funding row continues after a meeting in Glasgow on Thursday. The public body has been plunged into controversy last week after an astonishing attack from one of Scotland’s top former badminton players. Ronnie Conway, now a lawyer and Vice-President of Badminton Scotland, was in talks with Harry Burns, Chief Medical Officer and one of Scotland’s top civil servants. 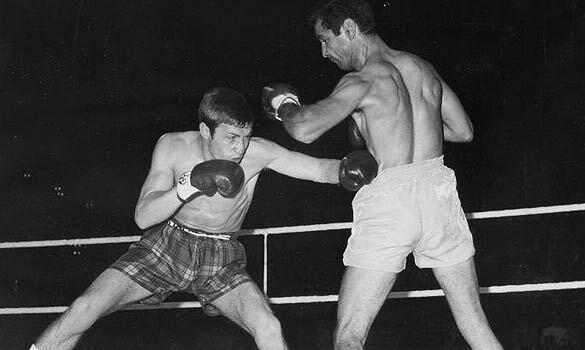 Mr Conway felt particularly aggrieved at what he claimed was a lack of funding for his own former sport in comparison to the likes of wrestling. “Thursday’s meeting with Mr Conway gave him an opportunity to air his views. This meeting was offered as a matter of courtesy and due process and the Chief Medical Officer extended a willingness for continued discussion. “Any suggestion that any funding decision taken by Sport Scotland is influenced by personal relationships is as offensive as it is wrong. Mr Conway and Badminton Scotland were unavailable for comment. Manchester United star Wayne Rooney’s father and uncle were today released on bail after being arrested along with seven other over an alleged betting scam. Arrests were carried out across Merseyside and Glasgow and are in connection with last years Scottish Premier League match between Motherwell and Heart of Midlothian on 14 December 2010. Amongst the others taken in by police today was Motherwell midfielder Steve Jennings, 26, a Merseyside born footballer, who was red carded in the fixture in question. Irregular betting patterns are said to have cropped up in Liverpool and surrounding areas, with one alleged £500 stake being placed on a red card being shown at odds of 10/1. Today’s arrests come after a 9-month investigation into Jennings’ sending off in the match. Midfielder Jennings who is from Kirby, was arrested at his home in Glasgow on behalf of the Gambling Commission. Bookmaker became increasingly concerned when it appeared several bets had been laid on a player being sent off, including the £500 stake placed in Liverpool. “Detectives have today executed warrants at 10 addresses across Merseyside and Glasgow and arrested nine men as part of an investigation into suspicious betting activity. “The matter is in the hands of the police. We will be working and cooperating with the police and the Gambling Commission providing information as required. Rooney’s father and uncle were released on bail earlier today along with two others. Nobody has yet been charged. Edinburgh will play host to a charity fun run next month, in a bid to raise money for a number of charities. 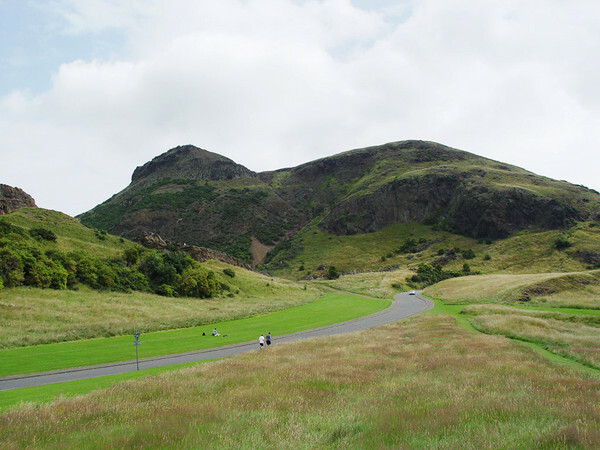 The picturesque Holyrood Park will be the location for the 5km run, set to take place on Sunday 23rd Octorber. UK, including four in Scotland. The event is supported by 76 different charities, however participants are welcome to run in honour of any charity they wish to. Amongst this year’s participants are a group of young men running in honour of a late friend. Scott Rennie, 20, and a group of 12 former St Augustine’s RC High School students, will be taking part to honour the passing of their friend Rachel Appolinari, who passed away in August following a short illness. “We thought it would be a great way to honour our old school friend and her family after their sad loss” said Rennie, a Product Design Student at Strathclyde University. 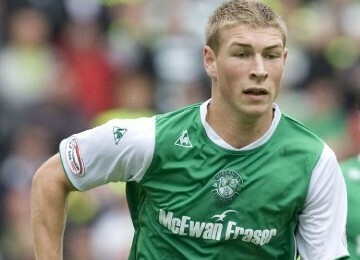 Hibernian FC star David Wotherspoon is amongst those who made a donation, with a £25 contribution towards the fund. The run will commence at 11am on Sunday 23rd October and there is still time to enter online by visiting http://www.bigfunrun.com. Those wishing to contribute to Scott’s cause can do so by contacting http://www.justgiving.com/running-for-rachel. Hibs new boy Leigh Griffiths is battling for fitness ahead of tonight’s SPL clash with St. Johnstone. On-loan Wolves striker Griffiths hobbled off in Saturday’s 3-3 draw with Dundee Utd, but Hibs gaffer Colin Calderwood is hopeful his frontman can be fit to face The Saints. Calderwood insisted: “A good bit of treatment and a bit of ice” would heal the “whack” Griffiths recieved at the hands of United defender Paul Dixon. Should Griffiths prove unable to play this evening, the Easter Road boss has options with inform striker Gary O’Connor and Ghana international Junior Agogo, both of whom notched in Saturday’s fixture. Agogo, who joined The Hibees in the summer transfer window said: “Garry and I have been scoring a lot of goals in training so, hopefully, we can bang in a few more in the games where it counts. Hibs currently lie a lonely 10th in the SPL table, but a win this evening could see them leapfrog Dunfermline into 9th place, on goal difference at least. St. Johnstone are sitting 5th in the league, and the Perth outfit will be in high spirits after a convincing 2-0 victory against Hearts at McDairmid Park on Sunday. In other SPL news, Rangers last night recorded a 2-0 victory over Kilmarnock at Ibrox. Striker Nikica Jelavic and Scottish youngster Greg Wylde were on target for Ally McCoist’s men. Scotland’s East Coast will play host to the Alfred Dunhill Links Championship that starts today. The tournament takes place over three different courses – St Andrews, Kingsbarns and Carnoustie – with the final round being played over the Old Course at St. Andrews. The Dunhill Links is a unique format in that professional golfers team together with celebrity amateurs and guests for the first three rounds of the competition. The field is then slashed for the final round, with only the Top-60 and tied professionals and the Top-20 professional and amateur teams progressing. And it is this special format that has prompted World No.6 Martin Kaymer to dub it ‘probably the best European tournament of the year’. The German Ryder Cup star said ahead of today’s tournament: “It is the home of golf, it is where I feel the most comfortable. We play on three wonderful courses so it’s probably the best week of the year on the European Tour. Amongst this years sports stars competing are Johann Cruyff, who will be paired with fellow Dutchman Maarten Lafaber, Sir Bobby Charlton, playing with Welshman Rhys Davis and Sir Ian Botham, who will tee off Carnoustie with colourful American John Daly. Also set to feature this year are big names from the world of film: Michael Douglas, Hugh Grant and Andy Garcia. Scotland face a momentous task this Saturday when they set out to upset England and hand them their first defeat of the Rugby World Cup. After succumbing to nerves in the dying seconds of their match against Argentina, Scotland must now win by 8 points or more in order to progress and potentially kick England out entirely. England’s Delon Armitage says the team are ready to withstand the challenge of a dangerous Scottish side that needs to win big, whilst Scotland’s Nick De Luca stirred up a little friendly controversy saying that it would be an ‘added bonus’ for Scotland to kick England out of the competition due to the historic rivalry. Dan Parks will be looking to replicate his form from last years win over World Champions South Africa and leave behind the stigma of his missed drop goal. In the other match in Group B Georgia beat Romania, Romania’s fourth loss in four matches, this morning 25-9. So if Georgia can ride that win and put in a display against Argentina it’s possible for Scotland to qualify with a losing bonus point, a back door entry to the next round perhaps, but one the Scottish side would be glad for if it means they aren’t on a plane home next week. It might be ‘the best league in the world’ but last night’s European outing for the English Premiership sure was a lesson in humility. The Mancunian contingent of the EPL suffered at the hands of both European veterans and relative unknowns. City suffered at the hands of a ruthless Bayern Munich side that demonstrated the hostility of the European top flight. A decent showing from Joe Hart between the sticks wasn’t enough to cope with the swift attacking play of Munich, who always seemed to have the right man in the right place, and twice that man was Gomez. The two goals just before the half were enough for Munich as City rarely seemed on the verge of scoring. With only 7 shots on goal to Munich’s 19, City’s strike force seemed lack luster, and this led to what the night will most likely be remembered for; Tevez’s refusal to play. As City looked to bring on some sort of fire power to threaten the Munich goal Tevez seemed to refuse to warm up. Mancini was furious after the match and stated “If we want to improve as a team Carlos can’t play with us. With me, he is finished.” A troubling end to a bad night in Germany for the Blues. But at home things were no better for United, the Devils were rocked by a shock performance from relative European unknowns FC Basel. The Swiss side showed fantastic determination in the face of going 2-0 down after Welbeck scored a duo in the 16th and 17th minutes. But that brief flurry was out of character for the United display on the night, as the failed to turn up for much of the match and had to weather a Basel performance that saw them create chances regularly and this payed dividends with 2 goals in as many minutes of their own in the second half and as poor communication at the back led to a foul on Basel’s tenacious trouble making striker Streller in the box and Basel went ahead on penalties. The only player to earn his supper for United was the young man between the sticks, De Gea, who had to fend of one ambitious Basel attack after another. Young managed to claw back a last minute reprieve for United who faced only their third European defeat at Old Trafford in 54 games., and that was a generous final score. Tonight Chelsea and Arsenal will take to the European stage to try and reclaim a little pride for the Premiership against Valencia and Olympiakos respectively. Games they will be hoping to win if they want to progress confidently to the next round.